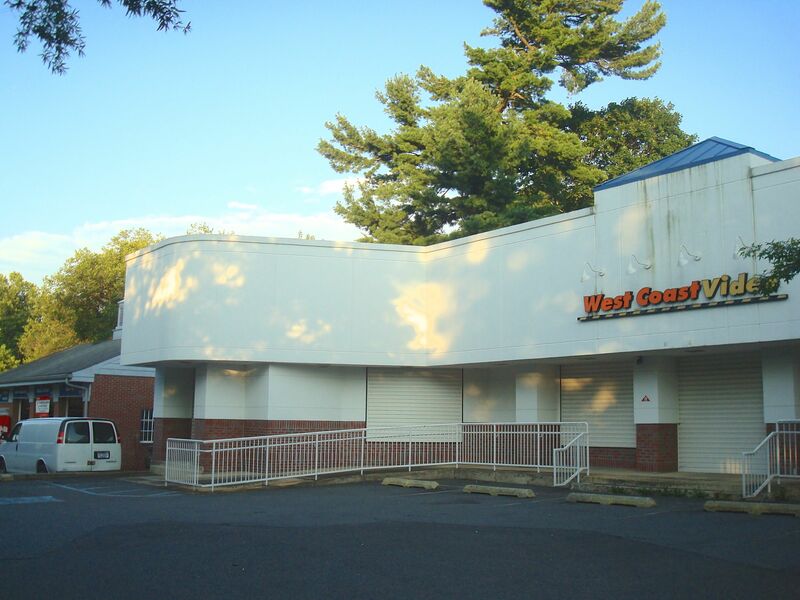 New 7-11 At Princeton’s West Coast Video: Good, Bad Or Ugly? The West Coast Video Site at 259 Nassau Street. (Click to expand). Remember the ‘good old days’, when if you wanted to watch a movie at home, you had to go round to a store and rent out a book-sized ‘videotape’? It was pretty expensive and you had to pay extra if you were one day late bringing it back? Crazy, right…why didn’t we just watch it on Netflix? Well, that’s what we do now, and that’s why the West Coast Video store at 259 Nassau Street has been shuttered for years. But new life is coming to the site in the form of…a 7-11 convenience store! Are you excited? The online consensus (as seen at Princeton’s primary online news forum, ‘Planet Princeton’) is that a new 7-11 is “an opportunity lost” or just plain “awful”. Let’s look on the bright side. A 7-11 is definitely better than a vacant building. 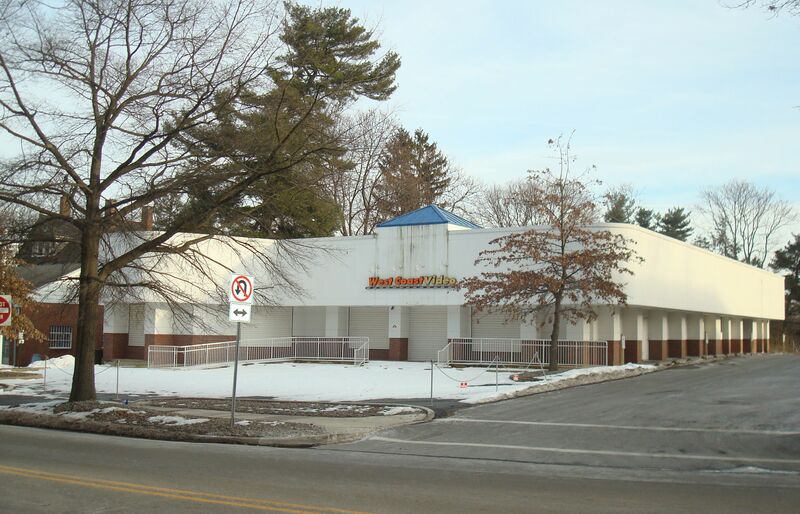 The old West Coast Video site has been a hole in the fabric of one of Princeton’s most walkable neighborhoods for years. Some of us might prefer something a little fancier than a 7-11, but lots of regular folks will appreciate the ability to get regular-priced products. Organic milk from local dairies is already available nearby (Nassau St. Seafood & Produce)…Whole Earth Center is footsteps away, and a variety of unique blended kale products will soon be available on East Nassau. It’s OK to have one ‘normal’ store in the mix, and a 7-11 will be very convenient for many area residents to access by walking. Here’s what would be even better: a proper, mixed-use development. 7-11 may be famous for its extended opening hours, but a mixed-use site is active 24/7. With apartments or condos above retail on the ground floor, the site would never lie empty. A mixture of uses would capture the maximum value for the town in terms of increased ratables, and would make full use of an infill site- something that is particularly important in a State where our few remaining green spaces are at risk from development. A proper infill redevelopment, just like the current proposal for the 255 Nassau Site next door, would be the best use of the old West Coast Video Site. Robert Bratman, who co-owns the West Coast Video site, made it clear at a Princeton Zoning Board meeting last fall that he had no interest in a major redevelopment of the plot. As a property owner, he should absolutely have the right to choose what to do with the site. A 7-11 is not a bad use. It may under-utilize the site and it doesn’t do anything to help Princeton’s desperate shortage of housing, but nor does it preclude a more productive use in future. The existing building is also pretty ugly. But at least it will finally be in use again. And are you not curious about the 7-11 menu item described online as “a concoction you would have had to dare your grade school friends to eat“??? How do you feel about a new 7-11 in Princeton? Is it good to have a new, walkable convenience store? Do you think you will use it? And will you try the ‘1/4 pound Cheeseburger Big Bite’? Let us know in the comments section below!! This entry was posted in Affordability, Downtown Vibrancy, Princeton and tagged 7-11, Princeton, walkable. Bookmark the permalink. 12 Responses to New 7-11 At Princeton’s West Coast Video: Good, Bad Or Ugly? i live in the neighborhood and I have no problem whatsoever with a 7-11 coming in. This site used to host a Wawa (and a Jack & Jill, going WAY back) and it will be nice to have a convenience store nearby once again. I think it will be useful, especially when you need something after 10:00 when CVS is closed. And as far as walkability, it’s often the case that when you need something from 7-11 in the middle of the night, you’re in no condition to drive. I live in the area. I think it is a horrible idea. We can do so much better there than a 7-11. It’s a real opportunity loss, and the reasoning that “it’s better than nothing” is quite sad. What do you think should go there instead? A King’s Supermarket would be great. They are in similar areas such as Ridgewood, Westfield, and Hoboken. I have heard of Nomad Pizza wanting to open in Princeton. It would be great if CVS moved there, that one on Nassau is quite small with a little selection. There have been some great restaurants that opened in the past couple of years that would have done just as well there (i.e. Mistral, North End Bistro, Agricola). I am very pleased to have a convenience store in the area. There are plenty of items that I buy that do not require a trip to the grocery store. As for a supermarket, I think that two full markets came and went in the building next door. There are just not enough people to support a full grocery. Also I am pleased that the building will be occupied again. I wish Mr. Bratman, and the other owners, were more risk tolerant and I’m skeptical of their actual commitment to this neighborhood (I also think that is the real story here). He states that he has always heard from the neighborhood that they want “a store from which to purchase fresh grocery products”. I’m highly skeptical of his sources and would challenge him to update his polling. 7-11 brings nothing useful that you can’t already get a couple steps away so I no longer think this is a need. I also wouldn’t categorize anything they sell as a “fresh grocery product” I know the USDA might but they have pretty ridiculous standards. I wish he would be open to redeveloping because a mixed-use development would be perfect there. You could probably still put a 7-11 in one of those spots too. The neighbors then might not need to redevelop and CrossFit Nassau could hang around :). Side note: I wonder what retailers do/do not want to move in next to a 7-11? I’m also curious why you categorize a 7-11 as a “normal” store, and what that even means? I would argue that it’s actually an abnormal store given the fact that it basically only sells processed fake foods you probably shouldn’t be eating. Also “regular folks”, “regular-priced products”? Come on! I live in Princeton and would LOVE a 7-11 here. Those worried about it ruining the area need to realise that Princeton is a clean town, and would never allow something to come in and be filthy. I wonder how many of the comments in support of this embassy for degenerates are coming from parties with a vested economic interest in leasing the property? There are already plenty of places in the Nassau street area where people can get groceries. 7-11 caters to cigarette smokers and drunks making impulse purchases. No one wants this eyesore ruining our town. This is a historic district. Just sell the property to a developer that will use it in a manner that is respectful of its residents. Boycott 7-11 on Nassau street. You sir are too cynical!